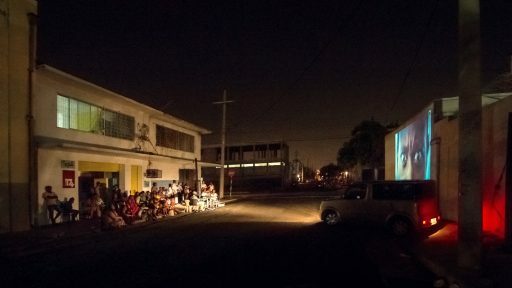 As part of an educational training scheme at Studio 174 in Kingston Jamaica, structured as a twofold artists’ residency and summer school, we were invited to present 6 curated artists’ film programmes to workshop participants and resident artists. Young people from the downtown area of Kingston worked together with students from the University of West Indies and resident on a series of artistic projects in various disciplines, including filmmaking, painting, sound art, and photography. The workshops were lead by The Rainbow Collective and Anton Kats. The curated programmes were organized thematically. To reflect the interests of the participants we made a selection based on 6 keywords: dreams, poetry, portrait, music, history, and performance, around which we structured the programmes.